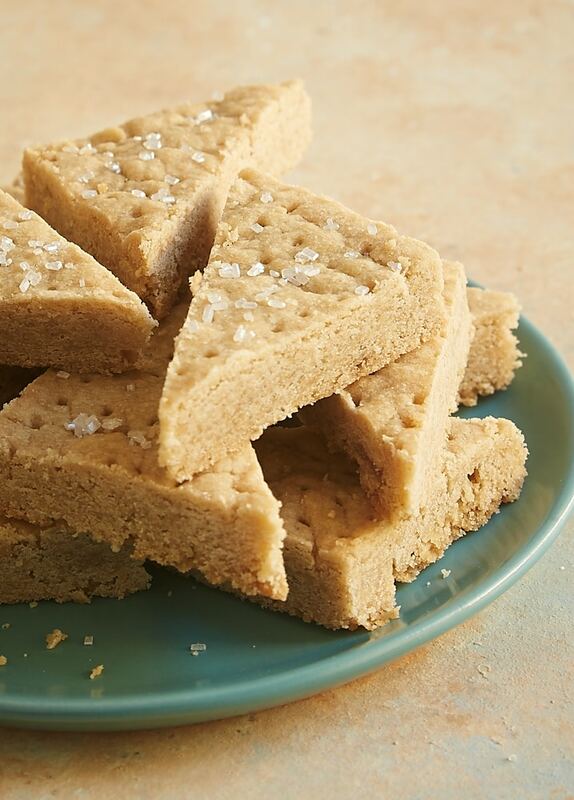 If the beauty of shortbread is its simplicity, then this Brown Sugar Shortbread is downright gorgeous. 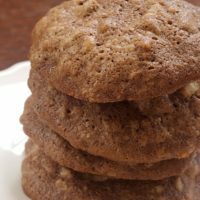 This recipe takes basic, staple baking ingredients and turns them into an absolutely delightful cookie that you’re quite likely to find irresistible. You can give your mixer a rest for these cookies. You can even leave your mixing spoons in their usual resting spots. Just use your hands to mix the dough and shape it. 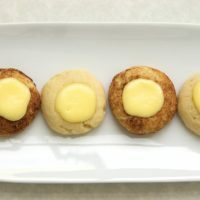 I found this Cooking Light recipe a while back and saved it to my seemingly endless to-bake list. I had initially thought I’d dress these up in some way. Maybe I’d dip them in chocolate or make them thinner for sandwich cookies. But once I took my first bite of unadulterated cookie, I thought they were just perfect as they were. I didn’t dare change a thing! 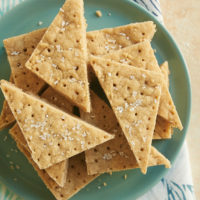 These shortbread are the kind of cookies I want to have around when I’m craving just a little bite of something sweet. One of these can really quell a sweet afternoon craving! They also make a lovely homemade gift. Just wrap some up in a pretty package to share with a friend, a new neighbor, or anyone with a sweet tooth. I love that I always have what I need in my kitchen to whip up a batch of these shortbread. And they mix so quickly that you can have the dough ready to chill within just a few minutes and with only a small amount of effort. Then just shape and bake. What a great (and tasty!) return on a very small time and effort investment! Make the most of staple baking ingredients with this simple recipe! Whisk together the flour, cornstarch, and salt. Set aside. In a separate bowl, combine the brown sugar and butter with your hands. Mix until combined. Add the flour mixture, and continue mixing with your hands just until combined. Sprinkle the water over the dough. Lightly knead the dough 3 or 4 times, just until the dough is smooth and holds together. Wrap the dough in plastic wrap. Refrigerate for 30 minutes. Place the dough on the prepared pan. Shape the dough into an 8″x 5″ rectangle about 3/8″ thick. Use a fork to pierce the surface of the dough. If desired, sprinkle the top of the dough with sanding sugar. Bake 25 to 30 minutes, or until the shortbread is set and the edges are golden brown. Cut into pieces*** and cool completely. *Measuring accuracy is always important in baking, but perhaps even more so with shortbread. If you don’t have a scale, be sure you’re lightly spooning the flour into measuring cups and leveling with a knife. **The original recipe directs you to place the dough on a baking sheet coated with cooking spray. I prefer to line my baking sheets, but either way is fine. ***The yield will vary depending on how you cut the cookies. I cut mine into wedges and got 16 cookies. Smaller squares will yield 24 pieces. Recipe ever so slightly adapted from Cooking Light. Hi, Kathie. If you’re wanting to unsubscribe from my email list, there’s an unsubscribe link at the bottom of the email. Brown sugar is the best! Why have I not already used it in things like sugar cookies and shortbread until you reveal these options to me? And just look at how thick and lovely this shortbread looks. I couldn’t have clicked on this post any faster – brown sugar + shortbread = two of my favourite things!!! Cannot wait to do the groceries this afternoon so I can make these!! I adore brown sugar and I adore shortbread. These sound addicting. I made some raspberry jam to use in a recipe today, and I have some left over. Now I just gotta make these to go with the rest of the jam. I am obsessed with all things shortbread and adding brown sugar HAS to be a good thing!! These cookies look delicious. Pinned. ooooh I love how easy these are to make! 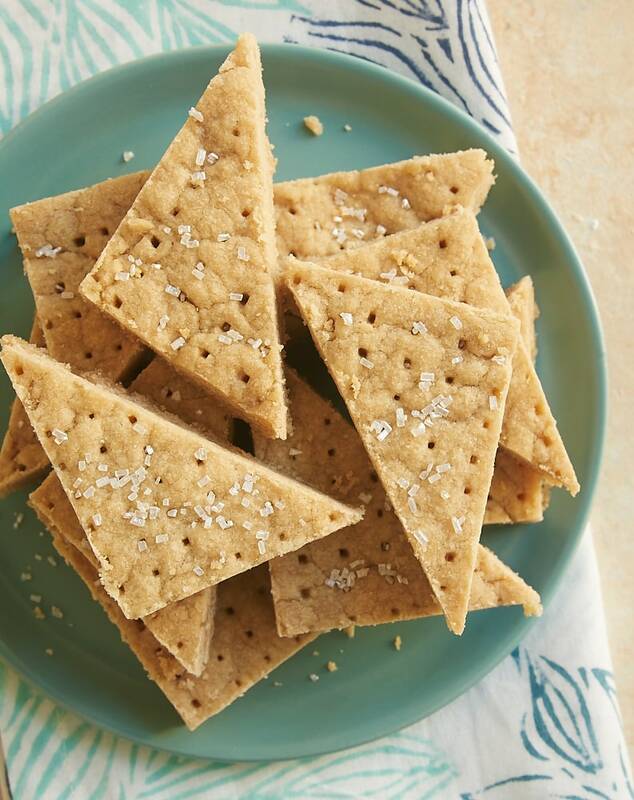 and brown sugar shortbread sounds (and looks) DIVINE! These are so good! 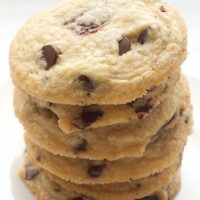 Such a simple recipe but I’ve made them a few times now and brought them to work and they’re a huge hit! I’m so glad you like them, Lindsey! They’re simple, but they’re SO good! AHH! So much yum!! I need to find a reason to make this, STAT! Is it bad to make it just because? Haha I think not!! 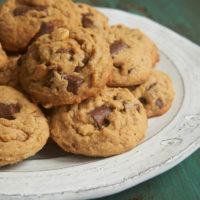 Adding brown sugar to short bread makes me think of “Lorna Dunne” cookies… They always had that buttery taste with more of a browned butter sweetness. I bet that your brown Sugar Short Bread is going to make me skip the Lorna Dunnes from now on:). Have you seen the rolling pins with die cut designs on Etsy yet???? Perfect for fancy shortbread cookies!!! !